IOTAS CURRENTLY ATTENDING THE GCF SG#70 IN NEW DEHLI. 29 Mar 2017 - IOTAS CURRENTLY ATTENDING THE GCF SG#70 IN NEW DEHLI. 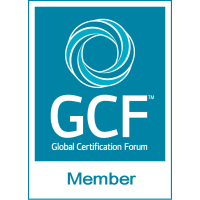 Kevin Spalding, Operations Director-Global at IoTAS, is currently attending the GCF SG#70 in New Dehli, India.